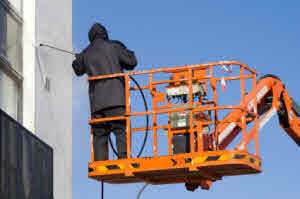 We are experienced in the area of pressure wash and our friendly staff can come in and take good care of all your needs. Pressure Washing is basically a system where we use high pressure to blast away any dirt and foreign material that may be stuck to or otherwise defacing your property. The pressure we use can be varied, as well as being able to vary the pressure we can also use hot water under pressure for some situations. Steam is also another option. Steam Cleaning is a valuable weapon in our arsenal cleaning options. We are able to come in and clean the exterior of your Buildings, Paths, Walls, Patios, Car Parks, Shopping Malls, Machinery and so the list goes on. Graffiti Removal can be a real problem despite what some may say on the subject. 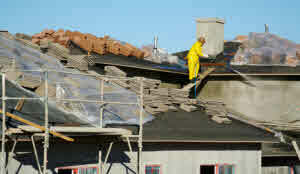 Depending upon the surface that has been defaced, whether it is brick, masonry, painted etc. I am sure you get the point. They all need treating in a different manner. Then comes that material that has been applied to the surface, most Graffiti is applied with spray paints, but it is not always the case. The treatment required to remedy the situation differs according to all these many variables. Whether we need to use a Steam Cleaner, Pressure Washer, Solvents and Paint Strippers we have the knowledge to find the best way to clean off the Graffiti and not to discolour or ruin the substrate. Chewing Gum Removal can be a real problem area depending on the surface it is attached too. We are able to clean this off with our High Pressure System or even with Steam. If this is not appropriate then we cn use other methods Click Here with your requirements. Commercial Premises often need cleaning, sometimes on a large scale and we are able to cope with this. Washing buildings, Car Parks, Showrooms, Offices and other Commercial and Industrial Buildings present no problems to us. For a no obligation quote or just a chat give us a call or send an email.Click Here with your requirements.